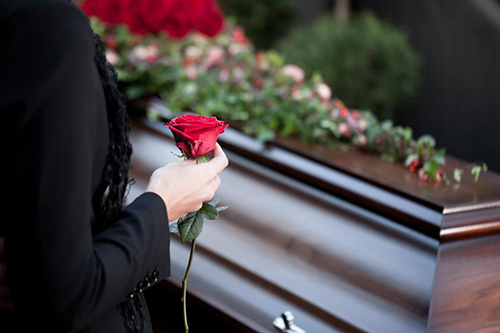 What Is a Wrongful Death Case? | Raw Law | Law Offices of Adam M. Thompson, P.C. The loss of a family member or loved one is never easy to accept. If you believe the death was caused by the intentional or negligent conduct of another person, accepting the death is even harder. If you have recently lost a family member or loved one and you believe that the intentional or negligent acts or omissions of a third party caused, or contributed, to the death, you may be entitled to file a wrongful death lawsuit. Not only can a wrongful death lawsuit provide much needed financial compensation to you and your family, but it also holds the at-fault party legally responsible for his or her part in the death of your loved one. The term "wrongful death" applies when the willful or negligent conduct of another person contributes to a death. Willful, or intentional, conduct often results in criminal charges as well. For example, if your loved one was attacked in a bar fight and sustained fatal injuries, the perpetrator might be facing criminal charges for the death. The purpose of a criminal prosecution is to punish the perpetrator while the goal of a civil lawsuit is to compensate the victims. Negligence conduct is much more difficult to explain and is very fact specific. First, the defendant must have owed a duty of care to the decedent. Second, that duty of care must have been breached. Finally, the breach of the duty of care must have been a cause of the damages sustained by the victim, or in the case of a wrongful death, the victim's survivors. A wrongful death can come about as a result of a wide variety of scenarios such as from a workplace accident, a motor vehicle accident, a slip and fall accident, or a medical error. If a death was a wrongful death, the law allows certain people to file as claimants in a wrongful death lawsuit. The purpose of a wrongful death lawsuit is to financially compensate the survivors for the loss of the decedent. Although litigation may be the last thing on your mind if you have recently lost a loved one, you should consider the fact that your loved one likely supported you and your family in some fashion while alive and would likely want to continue to do so if possible through the compensation available in a wrongful death lawsuit. Moreover, by pursuing your rights in a wrongful death lawsuit you ensure the at-fault party is held accountable for the death. If you have recently lost a family member to a wrongful death, contact an experienced New York wrongful death attorney right away.